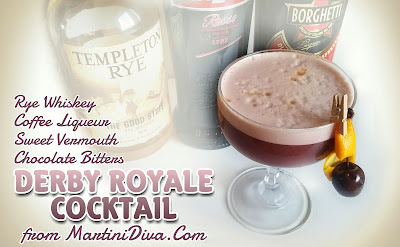 I like to think of this cocktail as a chocolate cherry Boulevardier or, perhaps closer, a Kentucky Royale but with fresh cherries instead of Cherry Heering. 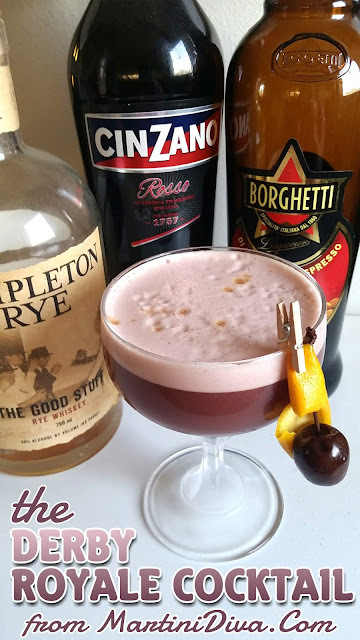 Basically it was something I tossed together the other night when I was goofing around with my Templeton Rye and my Cinzano Rosso trying to come up with a new cocktail. 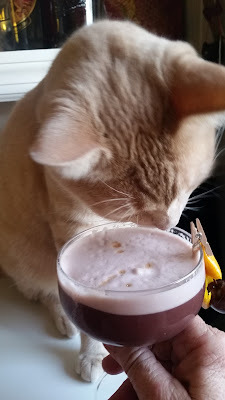 At the last minute I added some orange elements with a drop of orange bitters and an orange twist because I wanted a bit of citrus hitting my nose with the chocolate and cherries. Damn, it was good for something I just tossed together. I had three and I was one happy little boozer. 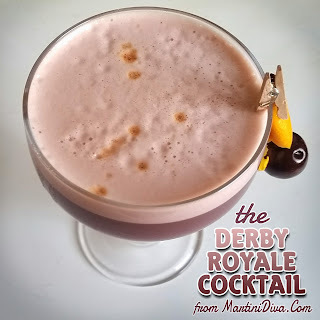 I also had with my Kentucky Derby - Triple Crown Cocktail for this year. Win, win. Now, if only my pick for this year's Run for the Roses can also win. DIRECTIONS Chill the glass. Toss the ingredients into your blender and whip until volume triples and the drink is nice and foamy. (This is my cheaters version of dry shaking.) Transfer this to an ice filled cocktail shaker, shake until chilled then strain onto the chilled coupe. Express the orange peel over the top, add the cherry and serve.